Containing Remarks Made During Many Excursions in the Principality of Wales… 2nd edition, London, Longman, Hurst, etc. 1813. The title page of this book of some 1,500 pages tells us that the guide is ‘augmented by Extracts from the Best Writers’. Among these are gentlemen travellers such as Pennant, Malkin, Skrine, Wyndham and Fenton. Pembrokeshire is recorded in the alphabetical listings under Fishguard, Haverfordwest, Kilgerran, Milford, Narberth, Newport, Pembroke and Tenby and we find the accounts of these places ranging for some distance into surrounding areas. We are also told that the work covers ‘Bordering Districts’. So, unsurprisingly, we find here early 19th century descriptions of communities such as Birmingham, Shrewsbury, Chester and Worcester. A wealth of detail, history, geography, myths, famous locals, flora and fauna, industry, etc. can be found here, much of which may no doubt be questioned two centuries later and evidently the writers were not constrained to the extent that tourist guides are today. These tend to be ‘warts and all’ descriptions and Fishguard is perhaps the place which comes under the most negative scrutiny. The account continues with talk of local agriculture and shipping, with an extensive discussion on the prospects of building a pier to develop the port. Having dismissed the church as a ‘mean structure, without tower or spire, containing no dignified memorials of the dead’, the writer allows us some light relief. Unsurprisingly a description of the landing of the French in1797 plays a big part here. An event in living memory at that time, there is naturally considerable detail which helps to enliven this account. The interests of local antiquarian, Richard Fenton, would appear to get more than adequate coverage in this guide. 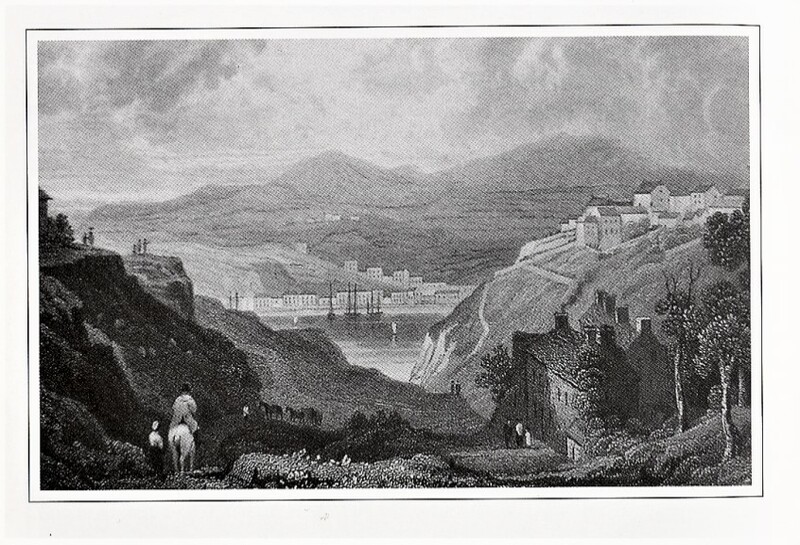 However, his own account of Fishguard in his Historical Tour of Pembrokeshire is considerably more benign and one cannot help but suspect some ungentlemanly conduct in the sour details written by others in this Cambrian Traveller’s Guide.